4:33 Creative Labs is at it again with a free-to-play squad based unit collecting mobile game, Monster Super League. 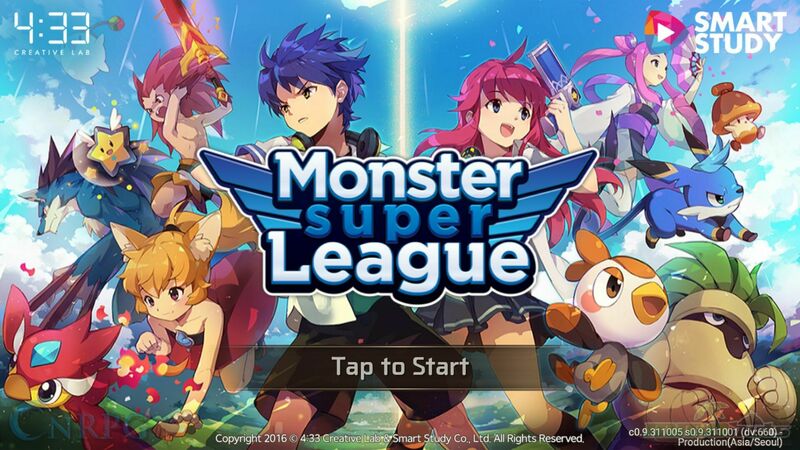 Made for both the iOS and Android platforms, Monster Super League introduces us to the world of Latecia – A world constantly in strife between the forces of Order, represented by Stella and Chaos, represented by Luna. The balance is shifting in favor of Chaos as Luna and her forces seem to be increasing in power. 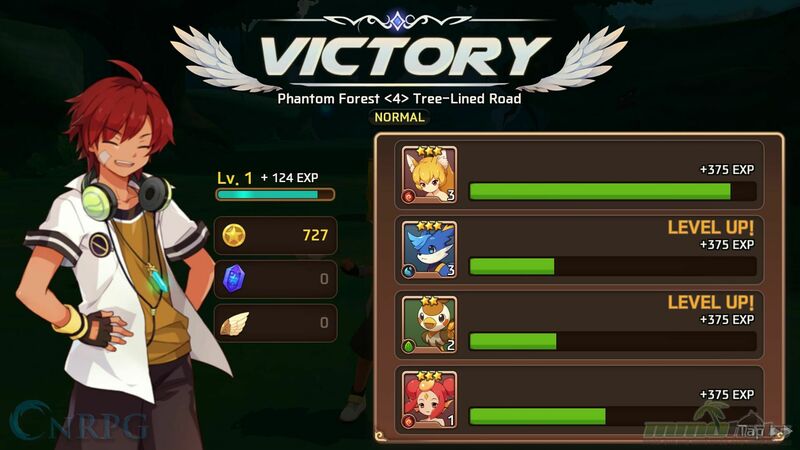 To combat this sudden surge of strength, Stella brings your character from his original world to represent the forces of Order and to battle in the Astromon League. So basically, your game starts you off in the typical other-world setup, where the main protagonist, either a girl or boy, gets kidnapped into the world of Latecia to fight Order’s battles for them. And to help you battle the forces of Chaos, you will have to capture/acquire Astromon, aka the creatures of Latecia, to fight by your side. 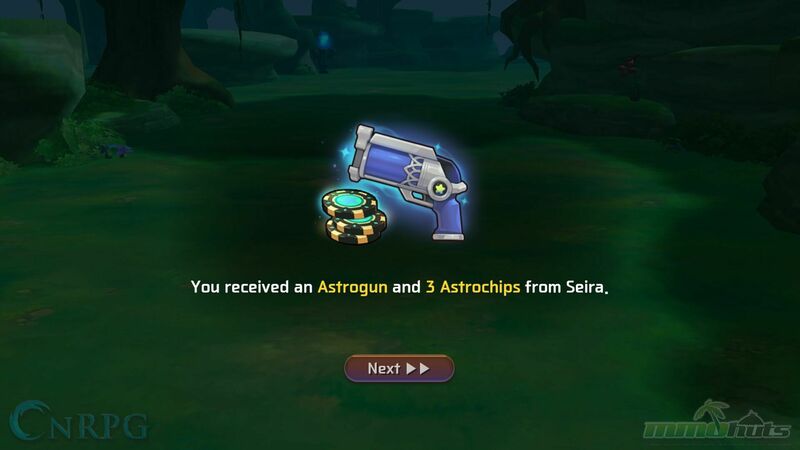 As champion of Order, you are given an astrogun and astrochips (which surprisingly looks like poker chips) to acquire a team composed of the elemental Astromons of Latecia. You are then tasked to battle in active time battle based matches with your team. 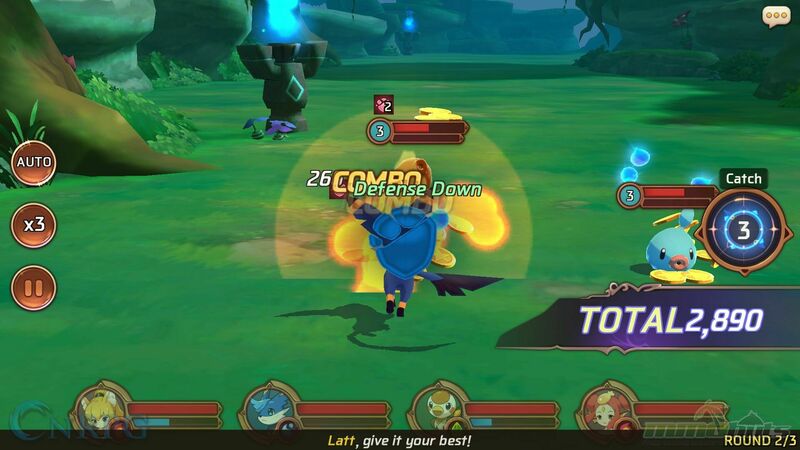 Battle controls are restricted to opponent targeting and activation of Astromon skills. You can also field a max of four units per team on missions. 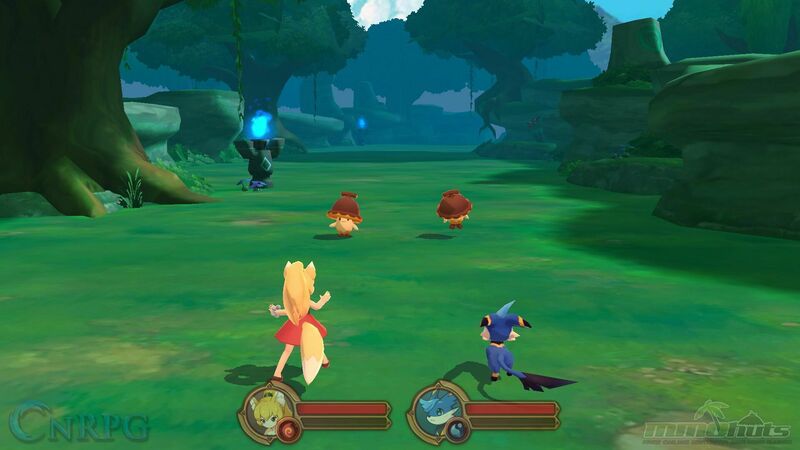 The game has a built-in quest system that follows the main game storyline. Progression is done by accomplishing areas and instances that makes you face AI controlled monster mobs in waves. A dungeon system is opened up as you reach a certain map and the actual Astromon League opens its doors to you in the same manner as well. Astromons come in five elemental types. They also follow the elemental weakness-strength chart that you need to consider as you build the team. 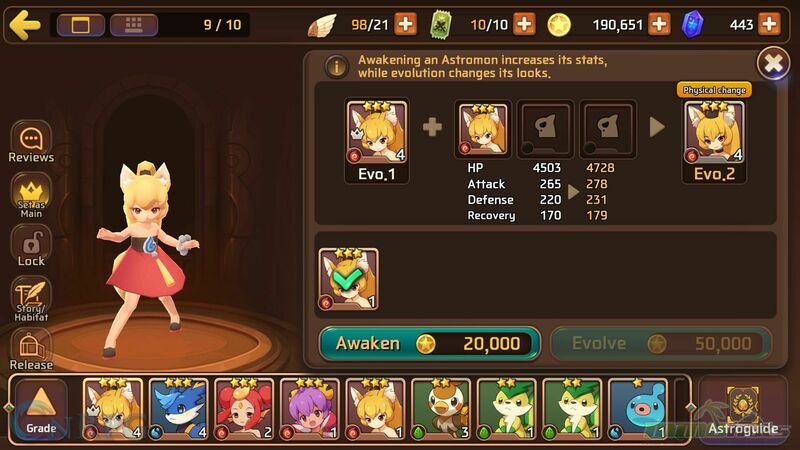 Each Astromon you acquire has a base stat that can be increased through leveling and awakening. Awakening in Monster Super League means that you will have to use the Astromon of the same species to increase their abilities. This doesn’t stop there. 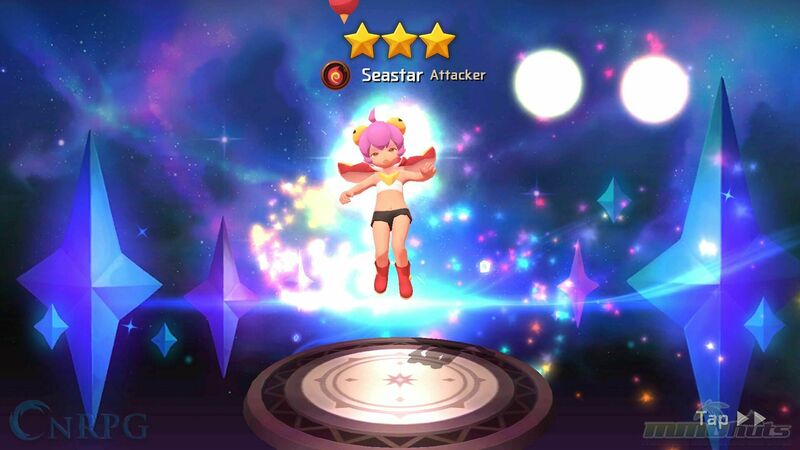 When you fully awaken an Astromon three times, you can then evolve said Astromon to its next form. While evolution does provide an increased boost in ability and skills, this doesn’t increase the target Astromon’s rarity. However, the game does provide a way for you to affect this and thus provides another way of making your current Astromon stronger. On the looks department, as expected from 4:33 Creative Labs, the Astromons look well made. 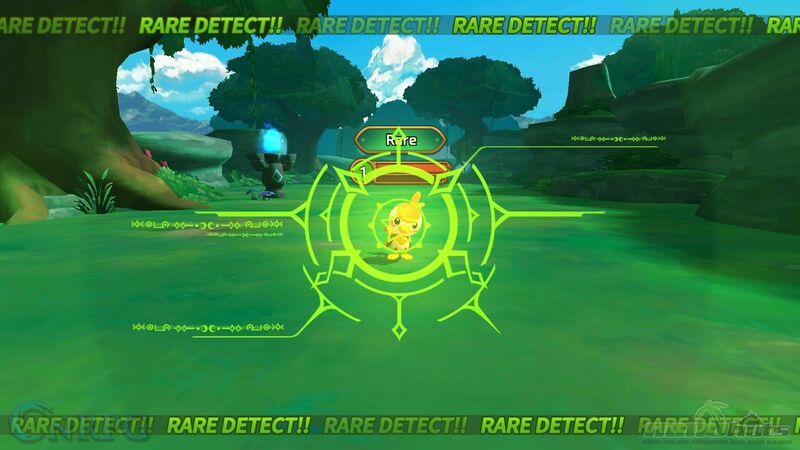 Each Astromon species that you can acquire in-game can be found in all the five elements in-game. However, there is still bias in terms of maximizing said species. Some species were just meant to be tanks in as much as some species were meant to be attackers and so forth. Another thing of note in the Astromons is that you can also equip them with upgradable runes that provide a different means to increase an Astromon’s abilities. And what I like about these runes is that they not only provide extra stats for complete sets (when 3 similar runes are equipped), but as you increase their level, you get more abilities from your runes than just the initial boost that the base runes give. So now that I’ve listed down the game’s features and some of how the Astromons work, it’s time to address the elephant in the room. Monster Super League has a lot of features that seem lifted from the pages of another unit collecting title, Summoners War. The mimicking of the game is as clear as day and 4:33 Creative Labs can’t deny that. 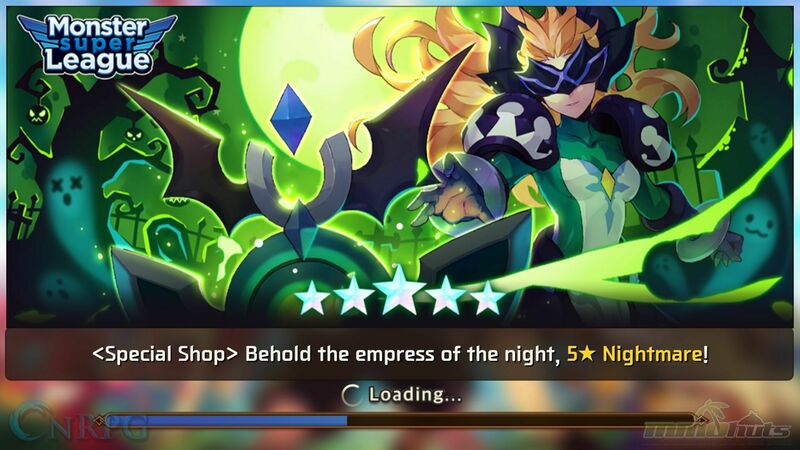 However, with all the game’s similarities, it seems that 4:33 was able to improve on what Com2uS has established with their title. 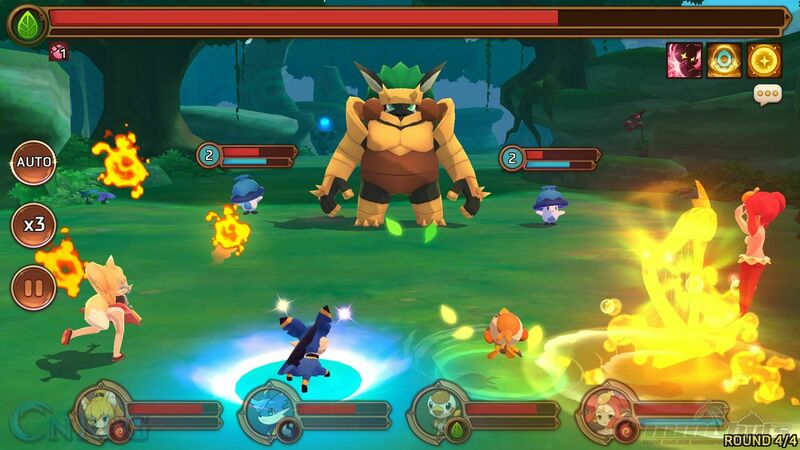 The visuals, the gameplay features and the streamlining of some gameplay elements all establish Monster Super League as a superior rendition of Summoners War. Monster Super League has a better story as well with the inclusion of the Astrogun and Astrochips. 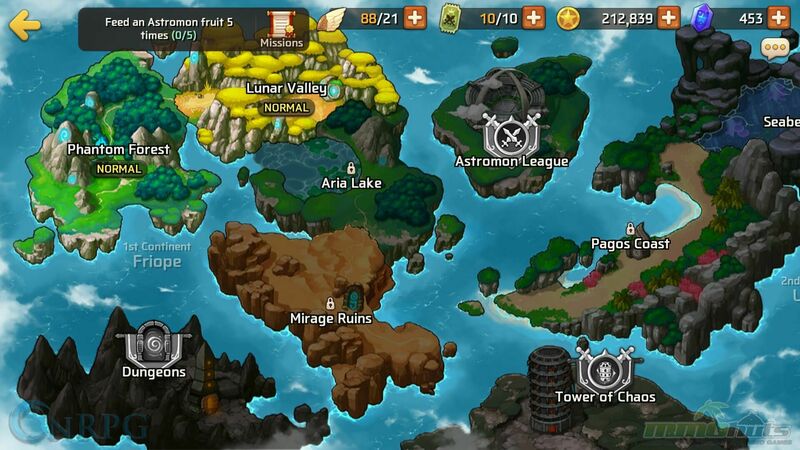 But at its core, it’s still a shinier, updated version of Summoners War. And personally, that’s not an issue when the newer version is better. With that said however, mimicking a pre-existing title also has its own downfalls. 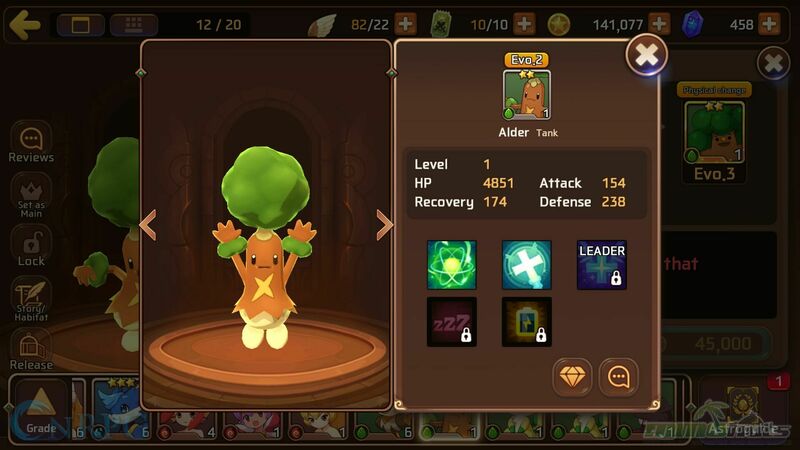 One of the things I didn’t like from Summoners War was repeated in Monster Super League and that’s mainly on the biases of the monster abilities. As I mentioned in the previous section, species elemental biases are still there. And some of the abilities, like its Com2uS’ counterpart, felt just like they were rushed to create. This pretty much locks in the metagame, especially in the more competitive ranks of the Astromon League. All in all however, Monster Super League was an enjoyable experience from start to finish. 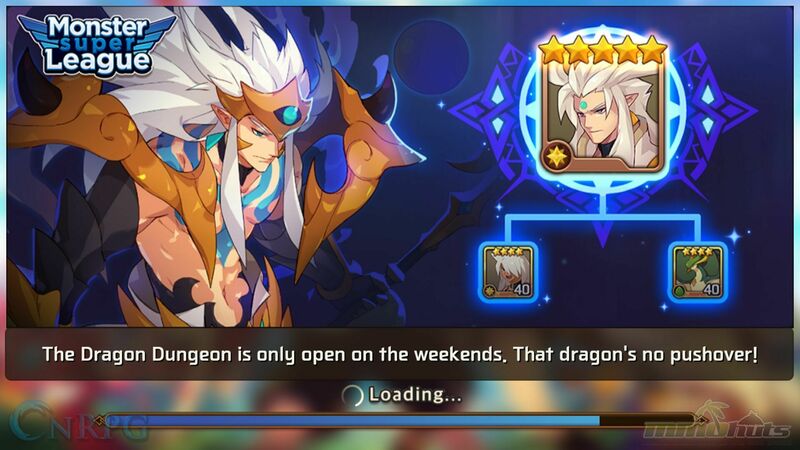 Even if the game is a clear mimic of Summoners War, 4:33 was able to put in enough difference between the two that you won’t think of the similarities at the beginning of your gaming experience. I liked that you are given options in acquiring your Astromon, the first one is hatched from an egg while the rest are captured through instanced encounters. Monster Super League is by far one of the best free-to-play squad based unit collecting games we have out in the market right now. 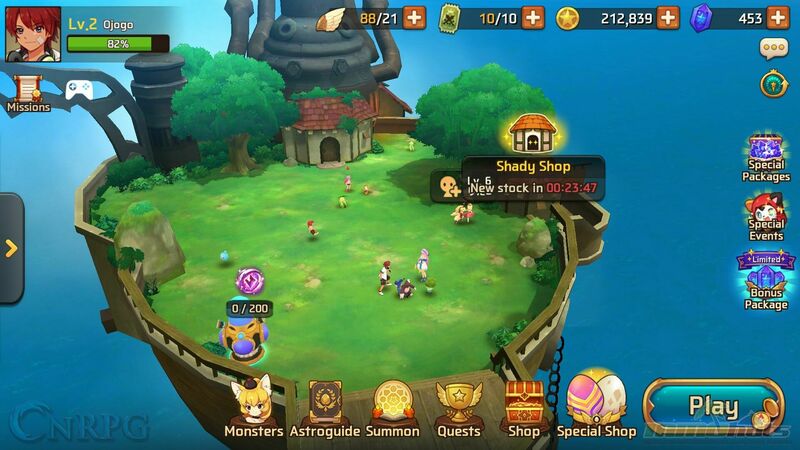 Building on the foundations from what worked and what didn’t from Summoners War, Monster Super League has been able to bring a more streamlined and faster-paced game that Summoners War tried to do. If you’re looking for an F2P unit collecting title and are a bit nostalgic for the Summoners War that could’ve been, Monster Super League is a must download for you. And if you’re someone who has no prior experience with mobile unit collecting games, then strap yourself in and prepare for a real treat!